Fall Kick-Off Sunday was Awesome! 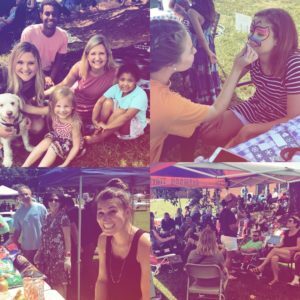 This past Sunday was Fall Kick-off and it was awesome! Many joined us to talk about spiritual growthas we looked at 1 Peter 2:2-3 and Matthew 28:18-20. I encouraged each one of us to consider where we are in our spiritual walk with the Lord.One of the tools I drew was the Wheel illustrationfrom the Navigators. It’s a helpful tool for your spiritual walk. Check it out. I introduced the Christ Community Growth Trackthat will become our primary tool for helping people become grow spiritually, become involved, and join our Church. The Growth Track begins October 7. How can you have security when it seems as though every day brings a new set of challenges? Kids, bills, marriage, family, money, worries… all of these have their own unique set of attacks on our life. How are we to make through these challenges? 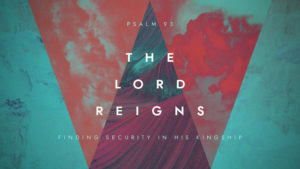 I will be preaching from Psalm 93 this Sunday. I believe this scripture will help us find security in the right place. Don’t miss gathering with your church family this Sunday at 10:30 a.m. We will also be taking the Lord’s Supper together this week. Don’t miss it! 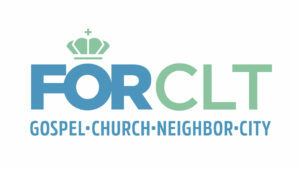 On September 9, I will begin a new sermon series called ForCLT. It will be a four-week series focusing our attention on our city. God has been so good to bring our church to a healthy point over the last two years. We focused on a lot on internal health and now it’s time to get our attention back on reaching those in our community and in our city for the gospel of Jesus Christ. I can’t wait to talk about what we are FOR as a Church. Pray for us! God is good! 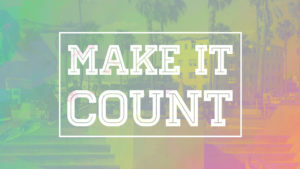 We only have $19,000 to go to complete our summer giving challenge! Let’s get this done together this Sunday! Here’s a question to ask: Have I been faithful to give to God 10% of my income over the summer through his Church? My obedience and your obedience matters! Remember, spiritual growth comes in trusting God more and more and trusting yourself less. Our annual Church Conference will be Sunday night, September 16 at 5:00 p.m. We will worship together, take the Lord’s Supper together, affirm our new church budget, and hear a few ministry updates that I can’t wait to share. 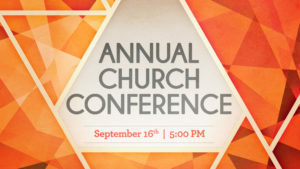 Our Annual Church Conference is for all members of Christ Community and those who have interested in joining with us. Let’s pray together for God to move among us on Sunday! If you MUST be out of town for the last major weekend of the Summer, please make sure you watch our service live on Facebookor on our website. You can give your tithe at this link. Pray for the lost to be found, the saved to be encouraged, and the Church to go forth in faith. I love you and look forward to worshipping Jesus with you on Sunday.